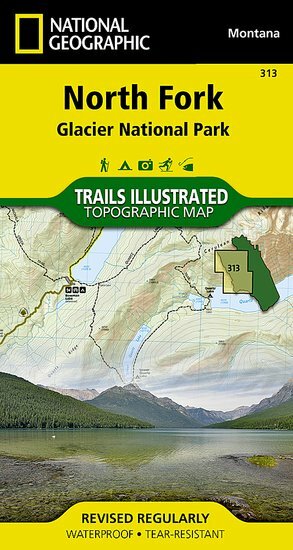 Trails Illustrated Glacier National Park :: North Fork Section [ti313] - $9.20 : Trail Explorers Outpost, Keeping the Adventure Alive! Located just north of Kalispell in Montana's northwest corner, Glacier National contains an abundance of recreational opportunities for outdoor enthusiasts of all interests. This detailed topographic recreation map contains carefully researched trails, campsites, forest service roads, and points-of-interests, for the North Fork section of the park. 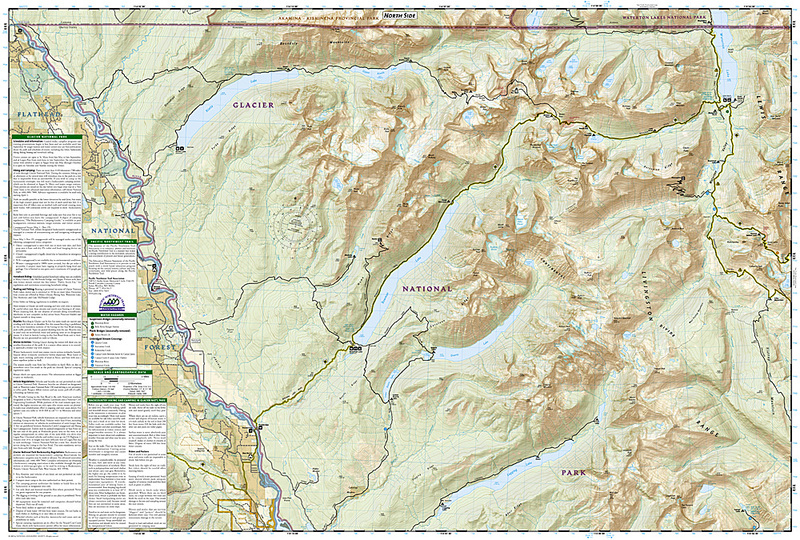 Two additional maps for Many Glacier and the Two Medicine regions of the park along with a comprehensive Glacier National Park Trails Illustrated map are also available. An enhanced scale of 1:50,000, useful UTM and Latitude/Longitude grids, mileage charts, and other navigation features make the North Fork sectional the best map available for the western side of the park. 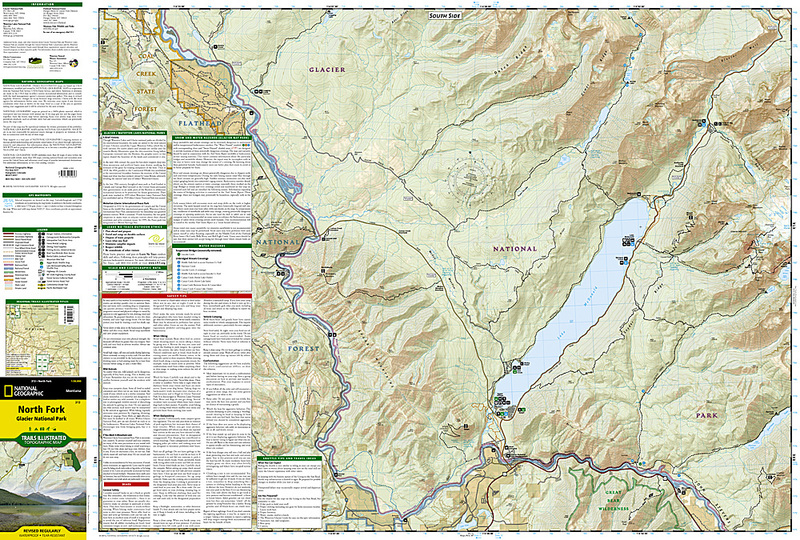 The North Side of the Map Includes: Kintla Lake, Bowman Lake, Quartz Lake, Logging Lake, Waterton Lake, Flathead River, Pacific Northwest Trail, and more..
Like all Trails Illustrated Maps, the Glacier Sectionals are printed on a highly durable waterproof, tear-resistant material designed to stand up to elements. Proceeds from the sale of all National Geographic Maps go to support the National Geographic Society's mission to increase global understanding and promote conservation of our planet through exploration, research, and education.